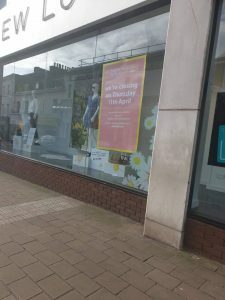 Clothing giant New Look have revealed the date of the closure of their final Torquay store. Announced in March last year that there would be a number of stores closing up and down the UK. So far stores in Sidmouth and Mens New Look in Exeter have both closed down. Torquay’s smaller store has already closed its doors and the larger store is to follow on 11th April 2019. Posters are now appearing on the windows announcing their last day. “Given our challenged trading performance and over-rented UK store estate, we are having to take tough but necessary actions to reduce our fixed cost base and restore long-term profitability. It is not yet known what will take the place of the New Look store.